Today, Clan Wars reward tanks will be making their way to Supertest. The changes Wargaming is considering will affect four vehicles: VK 72.01, the M60, the T95E6, and the 121B. The objective is to make these tanks fit better within today’s Clan clashes. For a while players who received these vehicles have been asking for a review, but in my own opinion, I’m not sure if these changes were what players looked for. 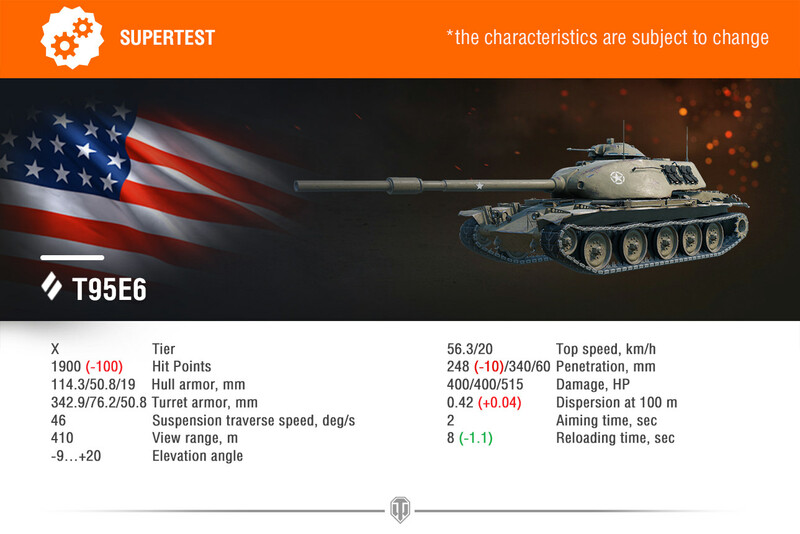 While some changes are more than welcome, the changes to the T95E6 don’t seem to fit what is considered the worse Tier X medium of the game. Still, these are preliminary changes and subject to change, so we still might have hopes of it getting fixed. Please note the following information is from Supertest and it’s subject to change. The gameplay on this one will differ even more from the Patton in the tech tree. We plan to make the M60 faster and more suitable for long distance support fire and terrain-based play. To achieve this, we’ll improve its mobility and firepower parameters (stabilization, dispersion, and armour penetration with HEAT rounds). 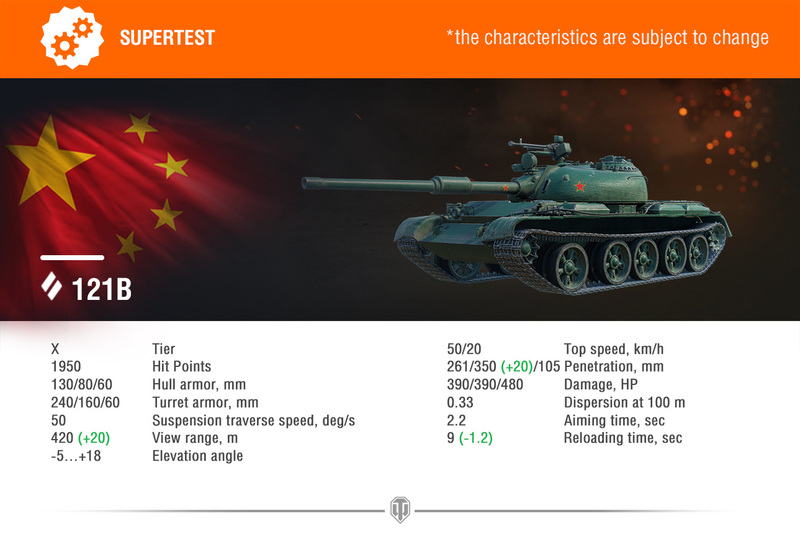 This medium tank will undergo lots of changes: it will be transformed into a fast-shooting support vehicle, well suited for short distance combat. Its rate of fire, stabilization, and engine power will all get a boost, but its efficiency at long range will be slightly decreased with lowered accuracy and penetration with standard ammunition. We expect the updated T95E6 to fare well in close combat on any terrain with its good gun depression. High Alpha and DPM will allow it to oppose enemy heavies (with some manoeuvring). Its efficiency will have limitations imposed by relatively low accuracy and penetration with standard rounds, and by weak hull armour combined with large scale. So the T95E6 main role will be providing support for the main strike group at close range. The “Failöwe” will gain hit points (upped to 2,850) and firepower. Stabilization, aiming time, and penetration with HEAT rounds will improve. High durability and good protection will let the VK 72.01 survive long, even while facing an overwhelming opposing force. Great Alpha and high armour penetration with Premium rounds will make any thick-skinned opponent extra careful while approaching it. The designated role of the VK 72.01 is holding positions and trading damage with the enemy. The 121B will become an agile and manoeuvrable medium tank with an outstanding spotting range (upped to 420 m) and very low detectability. Its DPM, aiming, and armour penetration with Premium rounds will get better. The gun will allow for enjoyable long range play. Yet the 121B will be weaker than the opponents of the same tier and class at close range because of relatively weak protection. Its main role will be reconnaissance plus support from the 2nd line. Very interesting. Hoping to add one of these the next time they offer them now that I have my Obj 907. I play this Game 4 years (27 k battles). Played around 150 battles in clanwars. My WN8 is around 1500 overall and over 2000 in the last year. I never got such a tank and i will never have the chance to get one. So WG, when i have no chance (better then average), why should anyone care? Maybe you should get to a better clan? 🙂 Joking, there are plenty of players out there that want changes to these vehicles, so even if they are in smaller numbers, they also deserve to have tanks they own updated. I like the changes, but why is the Obj 907 immune? That tank is not balanced. I see plenty of 1000wn8 players running around in tier x cw rewards. Campaigns were never about quality but quantity. If you are better you win more and it just makes it easier to get the tank. WHAT THEY ARE DOING WITH T95E6 IS PATHETIC! If it’s to make a stupid change like that, leave it as it is. 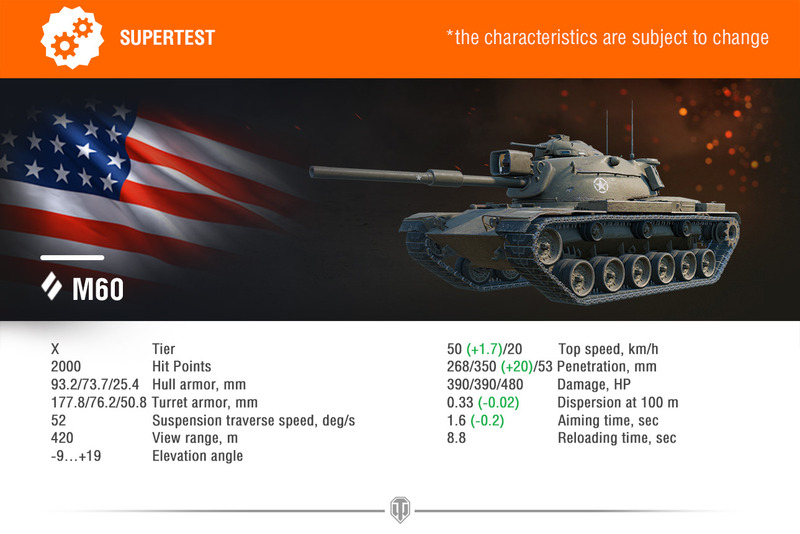 I only accept this on T95E6 if they take out the cupola cancer OR increase the cupola armor. Why aren’t they balancing the 907? Balancing 907? But 121b was already quite amazing except the incredibly low dpm. If they update vk and 121 with those changes. They will become way too good. I mean 2850 hp to trade with 750 gun and 350 penetration? nobody would want to peek that tank.. 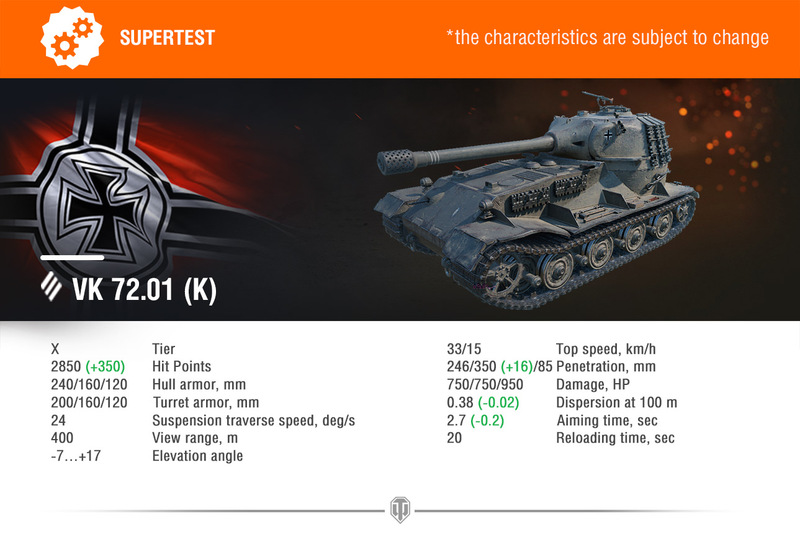 I love how they balanced the Vk 72 and Pz VII to be twins in most parameters including HP, but now it’s better then the E100 and the Pz VII and to add insult to the already poor preforming light tanks they go an buff another med tanks view range to 420 once again messing up light tanks chance to do anything els beside being mobile targets. I imagine the next ranked season will be full of CW reward tanks. Those VK buffs. Wow. The VK is already fairly balanced as is, but if this goes through it will be a far better tank then the E-100 and Pz VII. I wonder when they’ll be testing personal mission reward tanks for rebalancing. Good Point, the 260 is not something to work towards in it’s current state. Instead of fixing premium tanks that players spent money to purchase, WG fix premium tanks that player spend no money to obtain. Isn’t what they do when they fix regular tanks? 🙂 Don’t worry, Premium tanks will have their turn.